People have already shifted their course of listening music from conventional music systems to portable music players. We have gone past a phase where we had to download songs from desktop system to portable music players. Now we have Windows, iOS and Android-enabled smartphones where there are a plethora of paid and free music download apps for getting the songs directly on the phone. More than 80% of the smartphone users belong to the Android community and as a result, there are tons of free music download apps for android devices are available. Paid music apps are no big deal as they are in limited numbers and everything boils down to money. But we look for frugal ways of downloading free songs on our smartphones for offline listening. A trusted and legal free music download application is the ideal choice for many. In this post, we will get to see three different lists of free music download apps for Android smartphones. Some of these music apps will provide you with raw audio formats such as MP3, WAV, FLAC, etc. Whereas, other applications will save music tracks inside the app itself. 4shared is a free online file sharing service for music, video, apps, images, and books. It is also one of the few free music Android apps that allows you to download free music directly onto your smartphone. 4shared even provides you with 15GB space on its web platform to store music and other kinds of files. You can create the music playlist and play songs with its inbuilt music player. There are more than 6 million songs available on this platform, and most of the songs are in mp3 format with 128 kbps to 256 kbps bit rate. You can search songs by artist, title, and genres but you do not get the option to filter out results based on artist, category, etc. Also, if you are not in a mood of downloading songs, then you can stream online music on its web portal or application. Its free Android application has a neat and clean interface. There is a search icon at the leftmost bottom which gives you easy access to look for stuff per your need. You can also upload and share files. All songs are downloaded in the smartphone as well as on 4shared platform. Some of the famous artists whose songs are available are Justin Bieber, Noah, Bryan Adams, Coldplay, Aerosmith, Guns and Roses, Faint, Pitbull, Selena Gomez, etc. Jamendo is a free music application which allows you to download non-mainstream music from world’s independent artists. It has over 500,000 tracks by various artists from different parts of the world. You can stream as well as download songs under different Creative Commons Licenses. All songs are in mp3 format with 192kbps bit rate encoding. However, the quality of songs becomes 96kbps if you go for online streaming. Its Android app enables you to download free music tracks in a single click. You need to sign up before you could download any songs. Also, you can search music based on multiple search queries such as artist, genres, country, language, etc. The interface of this Android application mostly resembles its website portal. The Jamendo application does have a cool inbuilt music player with all possible options to stream free online music. You can create playlists, queue songs, loop music and what not. The app also features 13 radio stations from various genres such as Jazz, Classical, Pop, Rock, Hip Hop, World, etc. Free Music Archive is a non-profit portal and best Android app to download music for free. The number of songs is limited but all of them are legal and free. You can stream and download at your will. Several trusted broadcasting providers and curators, such as WFMU, Golden Festival, Dublab, 23 Seconds, 45 RPM Records, etc., have curated thousands of music on FMA. 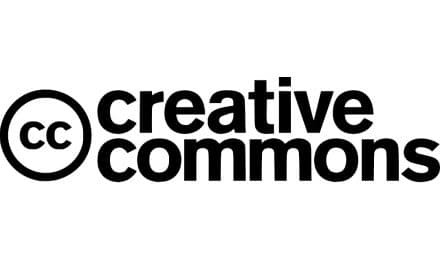 You can download MP3 tracks for commercial or non-commercial purposes but it is recommended to carefully examine the Creative Commons License type. Free Music Archive has Android application for several smartphones and portable devices. You can explore music by Genres, Tracks and Featured mixes. Each of these options has further sub-categories which will help you to select music at a micro level. Unlike FMA website, its Android app does not have download feature. You can only stream music tracks. SoundCloud portrays music tracks graphically as waveforms and allows you to comment on specific parts of the songs. These comments are displayed when that audio segment is played. It supports MP2, MP3, AAC, AMR, AIFF, WAV, FLAC, ALAC, WMA and OGG files. SoundCloud further transcodes different types of music files to MP3 at 128 kbps for online streaming purposes. SoundCloud has two Android applications as SoundCloud – Music & Audio and SoundCloud Pulse: for Creators. Its main app is focused on music discovery and free music streaming, whereas SoundCloud Pulse is more focused to artists. You do not get one-click download feature. However, every track has a “like” option which helps you in offline streaming in the absence of the internet. You can create playlists, liked tracks and collection of favourite music stations. You can find the music of almost all popular genres such as Audiobooks, Business, Comedy, Entertainment, News & Politics, etc. Also, you will be able to find music from genres such as Country, Alternative Rock, Classical, Dance, EDM, Electronic, Hip-Hop, Rap, House, India, SoundTrack, etc. 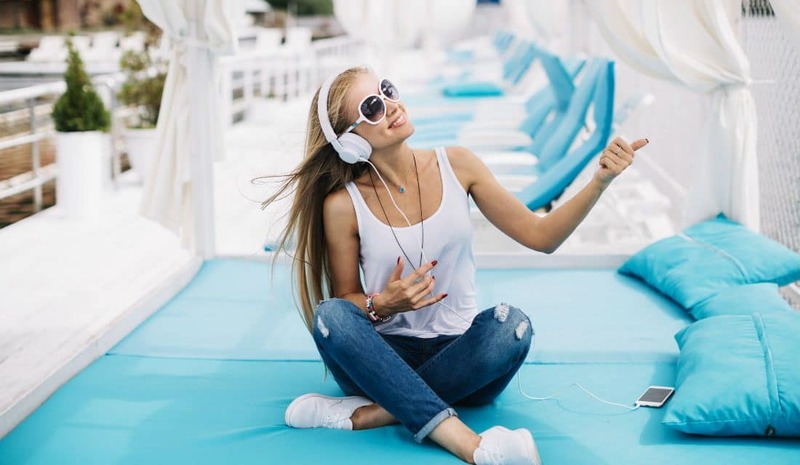 You also get to listen to free songs of well-known established artists from the music industry such as Drake, Arctic Monkeys, Hardwell, AR Rahman, Charlie Puth, Steven Wilson, Arijit Singh, etc. Google play music has over 40 million songs. Its free subscription provides you with free access to ad-supported radio and podcasts. You get personalized suggestions and recommendations based on your taste, language preference, and genres. However, Google play music does not provide as many songs and options in its free plan compared to its paid subscription. Also, you only get an option to download songs for offline listening if you go for its paid scheme. The good news is that you can go for its 30 days trial plan which does not require any credit card details. In the trial period, you can download as many as playlists, albums, and songs as you can. Later you can cancel the subscription, and still, you will be able to listen to all your saved tracks free of cost and most importantly without internet access. The unique feature of Google Play Music is its digital music locker, where you can upload 50,000 songs from your personal collection. Later you can listen offline on multiple devices with its Android or iOS application. You can search music based on genres, artists, movie, band and what not. The online music streaming experience is flawless. Also, you can listen to music encoded with low, normal and maximum bit rates per second. Highest bitrate is 320kbps, which is kind of best music quality for streaming and download purposes. I am biased whenever it comes to Apple products. Mainly, it’s because of its quality and options which stands out among similar other competitors. Apple music is no different. The collection of music is phenomenal regarding selection. It has a library of 30 million songs, which is massive. Popular music genres you see on Apple music are Rock, Pop, Electronic, Dance, Jazz, Rap, etc. You can even find some of the best mainstream artists such as Ed Sheeran, Coldplay, Pink Floyd, Drake, Jay-Z, Bruno Mars, Eminem, Justin Timberlake, Justin Bieber, etc. Apple music is also available for Android users. I would suggest you go for its three months trial plan which allows you to download music and songs for offline listening when there is no internet connection. The music streaming quality is 256-kbps AAC format. Apple music has a feature-rich music player. Apart from some standard options, such as volume rocker, play, pause, next and backward, you can read the lyrics, like a song, create a playlist, station, etc. Amazon’s entry in music service is a big relief to music lovers. Now streaming music or downloading songs is going to become cheaper with Amazon music. Here you can choose from millions of biggest music hits, several radio stations, personalised recommendations, unique curated playlists, etc. Amazon has a feature-rich Android app. Its application can play songs stored locally on your Android device. You can also download music for offline listening, but the service is free in limited ways. First of all, there are only 200 songs which are entirely free to purchase. Rest you can download only if you have an Amazon Music Unlimited membership. If you are a first-time user, then you can avail Amazon’s 30 days free trial. Thereafter, you have to purchase three months paid subscription at $0.99. This is a limited offer which is currently running for the first-time customers. Once you have Amazon Prime Music, you can download unlimited songs on the application for offline purposes. Napster is an Ad-free on-demand music service. Here you can stream on demand music and download songs for offline listening. The collection of music is enormous. You must subscribe to Napster 30 days trial plan to access its 30+ million music database. In the trial period, you can either stream or download unlimited songs per your choice. Napster has app for Android devices, which also has an inbuilt music player. My experience of Napster on my Android smartphone was fantastic. Somehow, I experienced better sound output when compared to other good applications. Napster has partnered with EVEN for a personalized audio experience. It means that now you can tune every sound to the way you would like to hear in your ears. ▲ The Free account has Ads whereas the Pro-subscription is Ad free. Saavn is a music service which provides you free online access to its massive database of free online music. Here you can get English, Bollywood, Hindi and Indian regional songs. Saavn has a beautiful Android application. You can browse your favorite music by artists, genres, mood, etc. Saan also has some curated playlists – EDM Night out, Dance Sweat Repeat and many more. You can go for its free trial option where you can download unlimited songs for offline listening. Its Android application has an inbuilt music player with all necessary options such as loop, shuffle, download, etc. You can also put any song in a queue or add to your playlist with a few clicks. Its subscription model is damn easy and convenient. The minimum is monthly, which is not even $2. You can download unlimited songs with any Saavn Pro subscription. ▲ The free account has Ads whereas paid subscription is Ad free. Gaana is freemium music service which is popularly used as an app for various platforms such as Android, iOS, and Windows. Gaana also features 10 Radio Mirchi stations. You can access thousands of special hand-picked playlists by Curators. Its Android application gives you an option to read the lyrics of any song. Its native music player is excellent in all aspects whenever it comes to various required features. Although, by name, it sounds more of a Bollywood and Hindi music application. Interestingly, you can also browse and listen to a lot of English tracks. Some of the most popular artists you can find on Ganna are Eminem, Enrique Iglesias, Bryan Adams, Avicii, Justin Bieber, Kesha, Rihanna, Selena Gomez, Taylor Swift, Katy Perry and more. Hungama is yet another music application to stream free music as well as download songs when you have no internet access. It has more than 3.5 million songs in English, Hindi and other Indian regional languages. You will be able to filter based on genres, mood, artists, popularity, release year, etc. Although, users complain of its buggy Android application. People directly compare Hungama application with Gaana, Wynk, and Saavn. I must say, Hungama app is a big letdown when compared to these. A free user can download only 20 sings after which you will be asked to go for its Pro subscription. Hungama has a point based subscription model where you can buy points. Jio launched its mobile services in India with a big bang. It uprooted the most prominent players in telecommunication such as Airtel, Idea, BSNL, etc. in no time. The company brought some freebies with its mobile connection plan. For instance, the JioMusic App on a smartphone. JioMusic is a free music application which is currently having more than 10 million songs from different languages such as English, Hindi and other Indian regional dialects. You can download unlimited songs for offline listening purposes. There are no Ads, and also you get access to HD quality music or 320kbps audio encoding. If I alone talk about English, then I was able to download songs of Justin Timberlake, Ed Sheeran, Rihanna, Drake, Beyoncé, Justin Bieber and many others. Also, you get an option to download several special curated playlists such as Rap & sport, Up Tempo running, Pop workout, 50’s, 60’s, 70’s, 80’s, 90’s, etc. Wynk music is heaven for Indian music lovers. However, I must say that it also has the latest and greatest collection of International music. I am a big lover of English music such as pop, slow rock, etc. Wynk music has been my top choice when compared to other music applications on my smartphone. All Android users can download Wynk music application from Google Play Store at no cost. You need to sign in before you can freely download unlimited songs for offline listening. You can also create playlists. There are several premade playlists on its application which can be downloaded in one click. 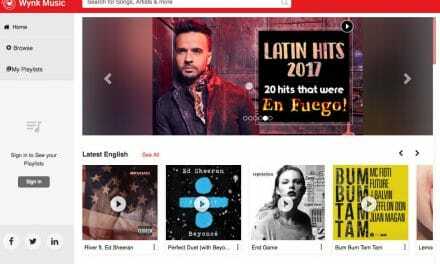 You can browse its song library which has trending songs from the world’s most famous artists such as Taylor Swift, Ed Sheeran, Justin Bieber, Rihanna, Pitbull, Shakira, Jennifer Lopez, Major Lazer among others. You can also download old popular hits from artists such as Bryan Adams, Linkin Park, Beatles, Michael Jackson, Eagles and many others. Wynk Android application has a powerful native music player. It has options such as loop, shuffle, download, etc. Alternately, you can queue any song with a few taps. Note: Stemjar never recommends its users to download or install anything outside the boundary of Google Play Store. Also, you must inquire and read in depth before performing any music downloads from anywhere. Until a few months ago, Music Paradise Pro was available on Google Play Store but not anymore. Music Paradise Pro is an Android application which allowed users to download original raw music files from the internet. People never had any idea if their actions were legal or not. However, Music Paradise Pro always gave legal assurance to its users. Ultimately, Google wiped off this application from Play Store. But its apk file is still making rounds on the internet. Several websites are even allowing you to download and install its apk on your smartphone. The app is basic in appearance, and you get simple search option to search for music and artists. Even now you can get all latest English hits and famous artists’ albums free of cost. SuperCloud Song MP3 Downloader is another grey area when it comes to free music downloads. You can’t find its application on Google Play store, and thus its legality is questionable. Selection of music on this app is bizarre. The application has a plain search option to look for music. It downloads music directly on your Android smartphone. Like any other doubtful application, even this app does not feature like playlists and other standard functions of music apps. You can download its apk file from several websites. Just Google yourself! 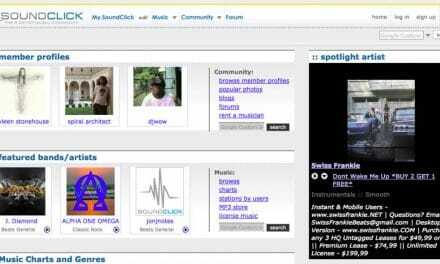 MP3 Music Download gets all its tracks from a website Mp3pn.net. This site streams music tracks from proxy file servers, and it does not store anything directly on its server. Its Android application is no more on Play Store. The collection of English songs is good if not great. The app did explain eight-point explanation behind how it was a legit application. But I guess Google did not like it and removed its existence from its store. You can download its apk file from the internet. Music downloading takes its own sweet time, and you may have to sit patiently for more than a few minutes before it shows up on your mobile. Compared to Apple app store, Google Play Store does not have a stringent and stricter app publishing policies. As a result, a lot of illegal applications get published on Google Play Store. Sometimes it even takes months before these illegal apps are taken down. I think that people should read all possible licensing agreements and policies before downloading any free music application.